5 antique bronze tone whimsical dragonfly toggle clasps. These are pretty larger sized clasps, great to add an elegant antique look to your beaded works. 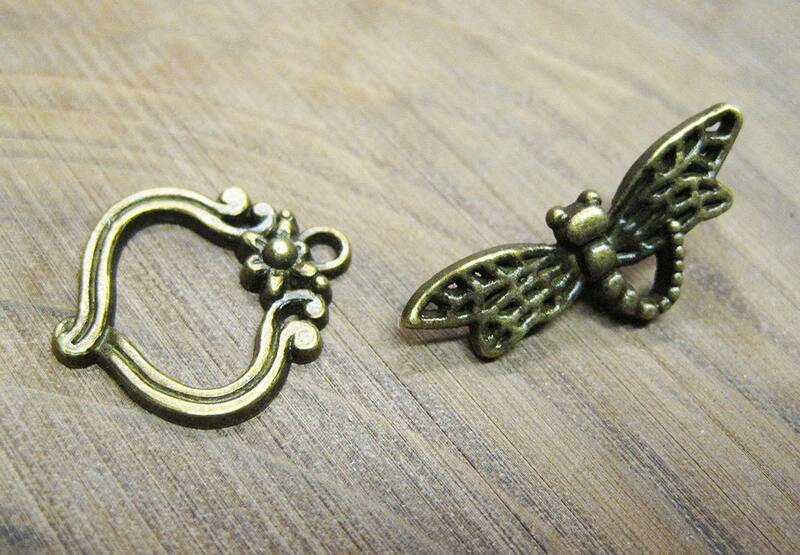 The toggle ring measures 22mm x 19mm and the toggle bar (the dragonfly) measures 29mm x 11mm. Antique bronze tone over zinc metal alloy (lead and nickel safe). 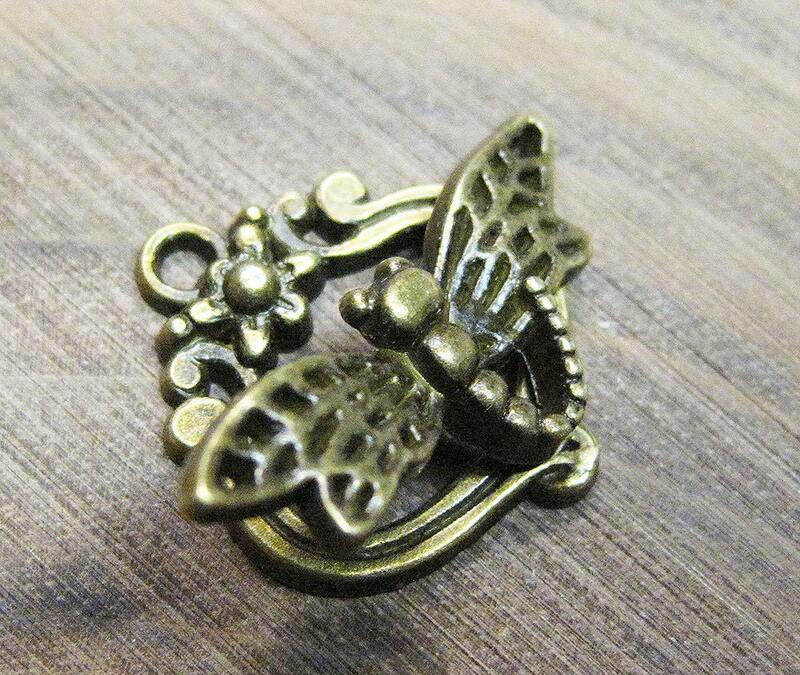 Elegant antique or vintage look clasps! You will receive 5 complete clasp sets. Awesome selection of findings, thanks for the fast shipping. I purchased several items from this shop. All were as described and arrived very quickly. Will definitely be a return customer. Thanks so much!